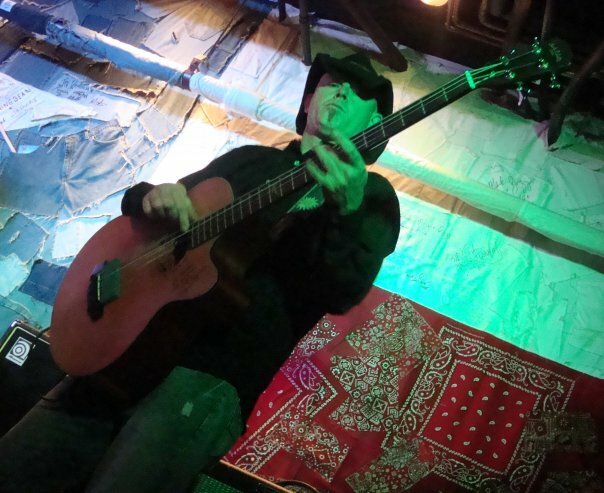 Mick Hargreaves | Official Site: Thankful for... great fellow musicians! Thankful for... great fellow musicians! I'm honored to have made sounds with some great musicians this year: Steve Prisco, Tom Ryan & Rich Umbach of The Blaggards; Caroline Doctorow and her band (including Andrew Carillo, Robin Gould, Gary Olayer, Chris Tedesco, Pete Kennedy); Matty Liot, Chris Mehos, Will Hren, Skip English, Libby Johnson, Mark Boquist, Caitlin Cannon, Kathy Moser, Carrie Johnson, Mason, Shannon & Dan Wise, Skip Krevens, everyone involved with The Lost Keys, likewise The Elvis Show 2009 (See you all on Jan 30th 2010), and standard-bearers The Lone Sharks, whom I sat in with on multiple occasions. I hope I didn't leave anyone out... 2009 isn't over folks, and 2010 will be even better... see you around campus. Wonder who took the picture?